MOLAA is the Museum of Latin American Art in California, United States. They started using Floorplanner a couple of months ago and they have created over 300 designs since then. "Floorplanner is an indispensable business tool for MOLAA. We use Floorplanner as a show case of the museum’s event spaces. It allows us to create several event designs with the same floor plan; this gives clients an idea of how the space will look for their special occasion. 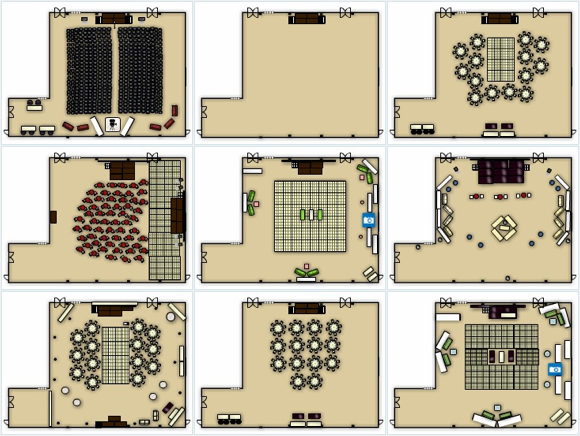 With Floorplanner we can easily make changes to an event design and provide our crew with a map for set-up. This tool provides essential visuals for clients and event staff alike." We really do love Floorplanner.com!